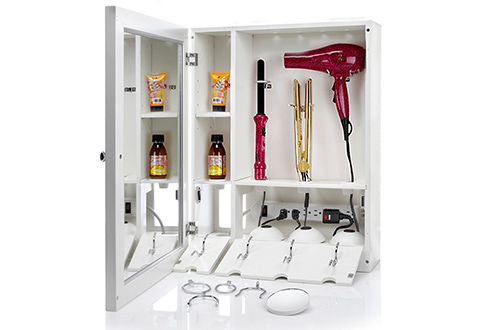 The revolutionary Personal Care Accessories Valet lets you access, use and stow your hair care appliances in one organized cabinet. 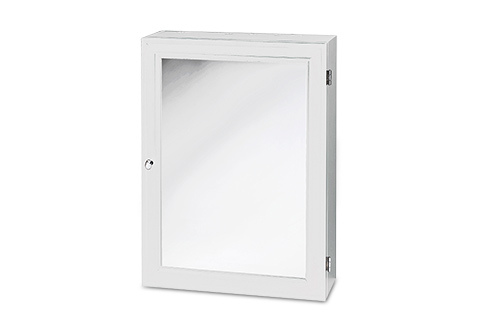 This wall-mounted unit safely stores up to four electrical appliances, with a built-in power strip so everything stays plugged in and ready to use. 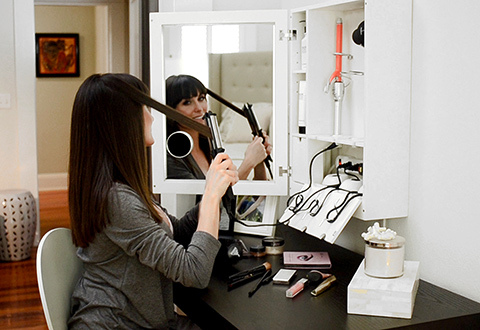 A cord management system keeps everything neat, tidy and off the counter. 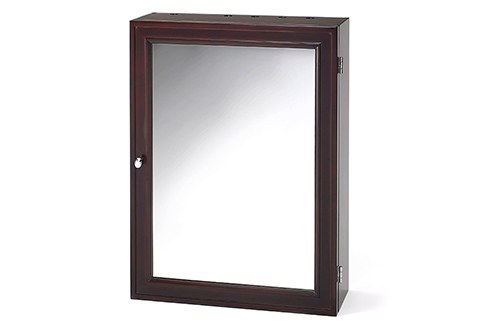 Features a dual-mirrored door and 5x magnifying makeup mirror. Available in white and espresso. Appliances not included. Make some space on your bathroom counter. 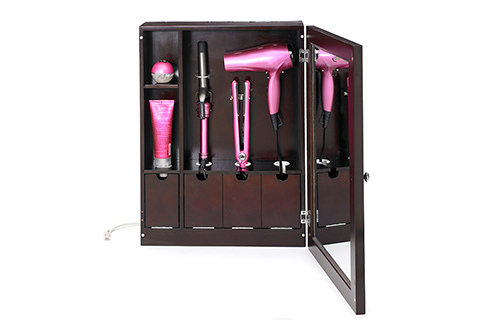 The wall-mounted Personal Care Accessories Valet keeps your hair dryer, curler and other essential appliances neatly organized and ready to use.